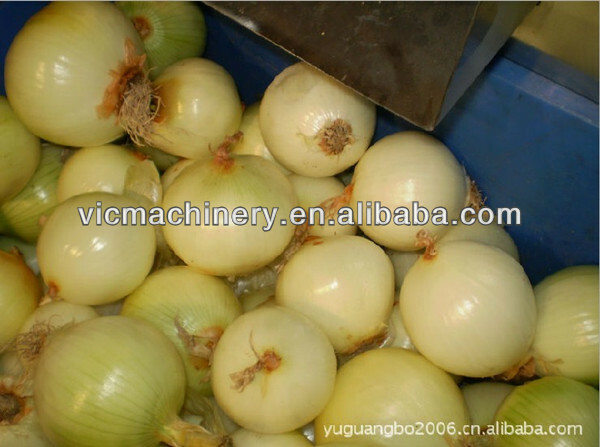 Buy CE approved high quality fully automatic onion peeling machine - Jinan Joysun Machinery Co., Ltd.
1.2QY-YB-2 Onion peeling machine is the most advanced onion processing equipment. 2.It has no speical requirement for onion’s size, dry and net,area. 3.It can peeling ,ending cutting , clean directly one time and no demage , widely used in vegetable processing industry. 5.304 stainless steel machine body and cover, in line with international health standard. 8.End cutting adopts is connect with peeling machine together, process onion one time. All our package are standard fumigated wooden box, we need around 5 working days to finish the machine and ready to deliver. If want extra spare parts pls notify when place order. Machine usually transport by sea,we also can transport it by air and railway. Delivery time: Within 15 workdays after receipt of the pre-payment. Quality guarantee is one year. Spare parts we supply at factory cost lifetime. We will be responsible for any broken which are caused by machine-self and quality problem, other situations which are caused by wrong operation, man-made problems etc will be in buyer’s response, and we will help to solve by video asap, if big problem we will send engineer to working site within 1 week.